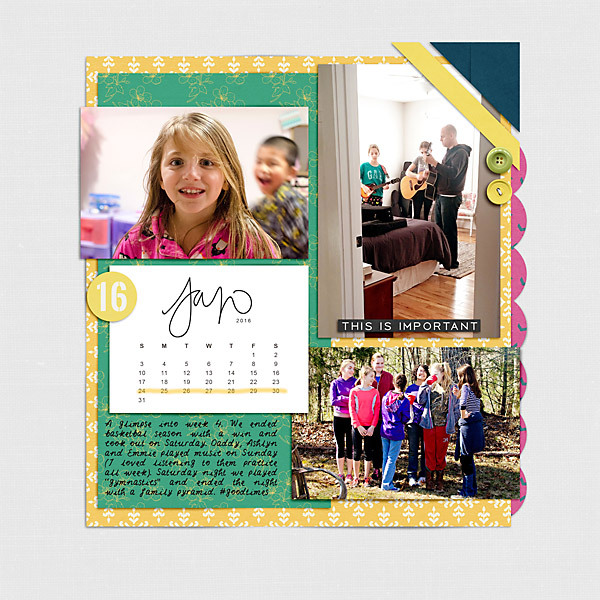 The last week of July included a lot of game playing, the end of basketball season, playing music for church, gymnastics contests in the house (which included a family pyramid), school work and a silly skit from the girls (you have to watch the videos). It was a pretty awesome week. 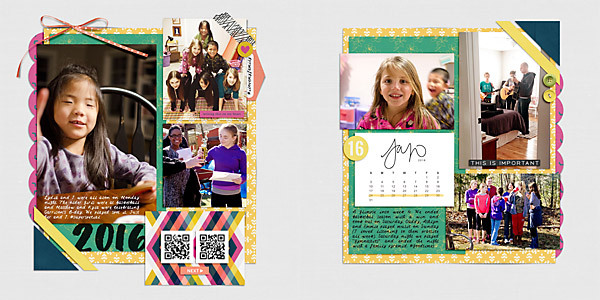 One reason I love scrapping these weekly pages is because it forces me to sit down at the end of the week and take a look back on what we've done. Even in the busiest times or even monotonous (talk about laundry, cleaning and cooking 3 meals a day) times it reminds me to find joy in every single bit of it. I really do find joy in all of it (most of the time!). When you look at my pages I hope you can see what a joy my family is to me. I think when my kids look at these pages they will be able to say, "This is my family. This is what we were/are like. I love my family."